cause we has done incredibly well! ¡the Queen is ninth in the (w)hole! and now Biology ranks 23rd, likely the UK department most renown! “Incredibly well.” Time to open the champagne! to be in the top five, or perhaps the top ten. Dante’s ecliptical danse until the end. 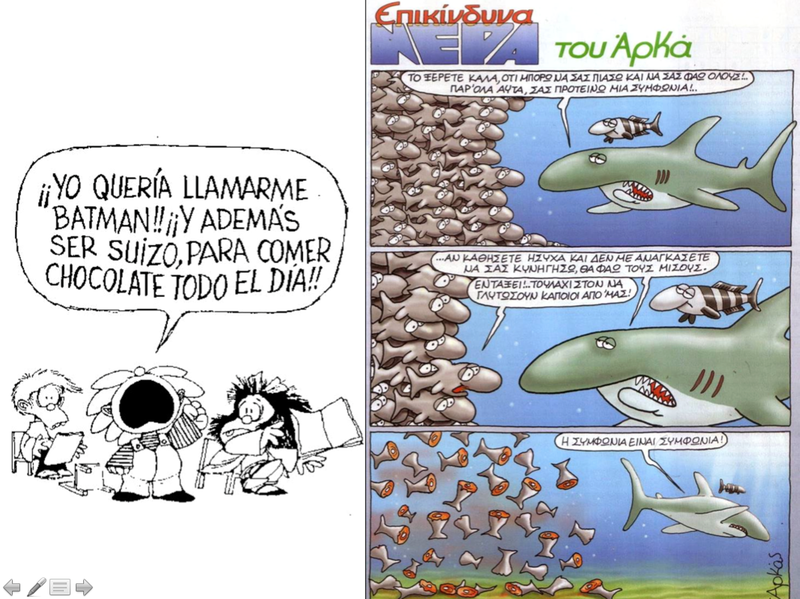 Dialogue between the shark and the fish (by Arkas): Shark – You know it very well that I can catch you and eat you all! Despite of this, I will make a proposal to you… if you stay still and don’t oblige me to chase you, I will only eat half of you. Fish – Ok, at least some of us will survive. Shark – an agreement is an agreement! PS. Although events that have taken place at my former School at Queen Mary may have influenced in some ways the creation of this post, it is hoped that it can grow beyond a small campus in the East End of London and attend the wedding of sciences and humanities in universities wherever they stand in this world. I compared those academics present in the SBCS academic staff website at the arrival of Matthew Evans (September 2011) with those present at this time and plotted the results. Paul Jump has produced new rankings normalising the research excellence framework assessment per number of eligible staff in each discipline (column 1) instead of using those actually ‘returned’ (column 2; result referred to in poem). 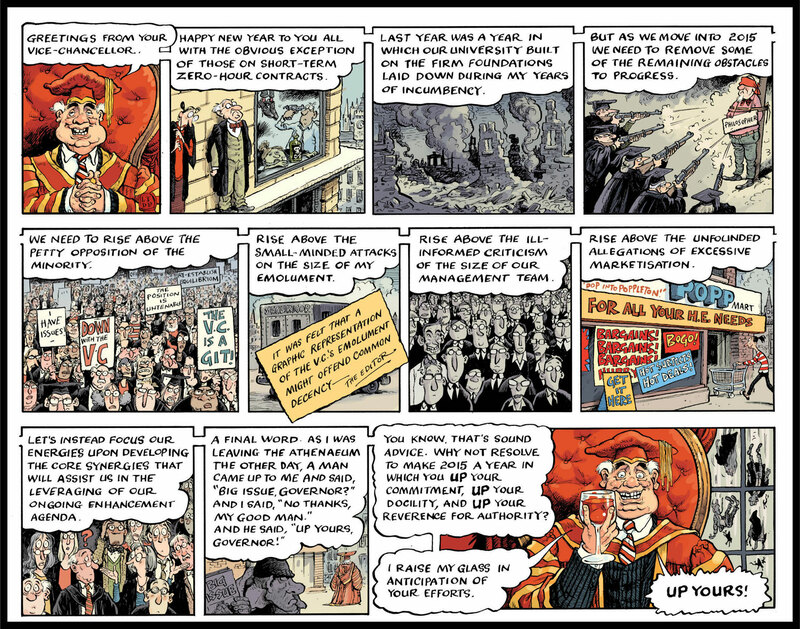 First column after the university name gives the number of academics returned; second column those working at the university department and were eligible to participate in the exercise. Fantastic #REF2014 results for @QM_SBCS. Well done everyone.